Wind power is growing at such a rapid rate, that according to expert forecasts, wind energy will reach to cover a substantual percent age of global demand of electricity in the next ten years. Such an important contribution to ensure the stability and security of the energy market forces us to use devices ofthe highest quality, with better than the average durability and realiability. 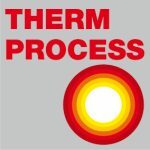 From the perspective of the furnace market for heat treatment (HT) of metals, it means an increase of the demand for state-of the-art equipment specialized to meet its specific requirements. 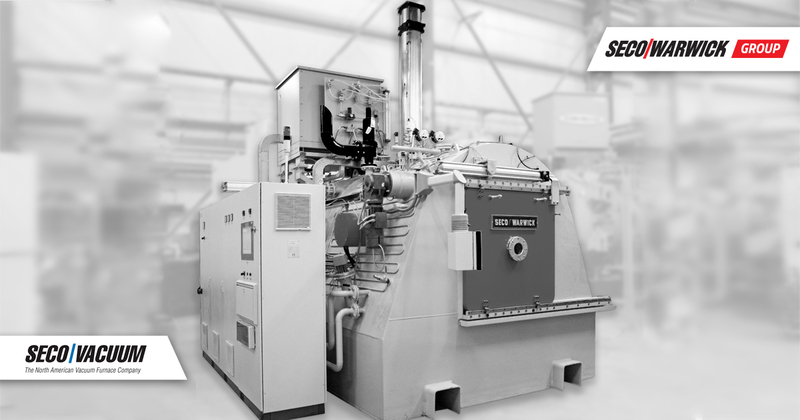 Based on our years of experience SECO/WARWICK have developsed and implemented a series of industrial units specially dedicated for processing large size power transmission components using pit retort for carburizing type PEGat. Similar processes can be found using chamber furnaces, furnaces with integral quenching tank (sealed quench) type CaseMaster®, and a range of equipment for continuous operation, including in particular the roller and rotary hearth furnaces. 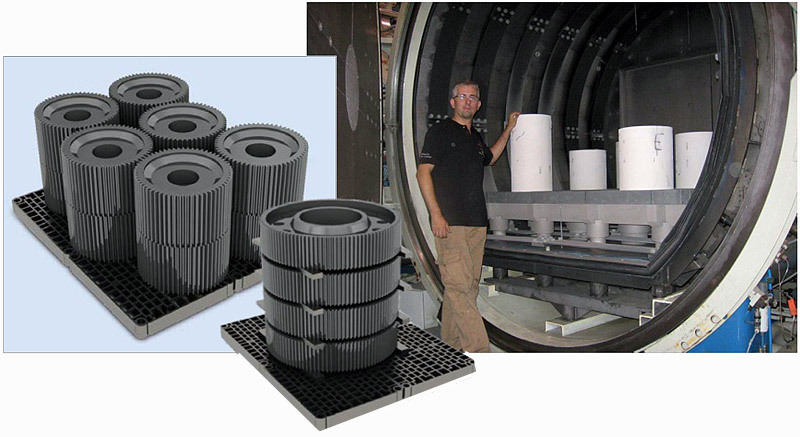 SECO/WARWICK speciﬁes and chooses the equipment acording to customer requirements, the magnitude of the project, etc,. Basic criterion around which racional compromise is searched for is an economic account. Taking into consideration required performance, product range of production, type of product range, etc. ; the optimal solution is chosen. The systems recommended for heat treatment of large power transmission components are adapting to manipulate these large masses. The design of furnaces is the effect of long-term cooperation with our customers, resulting in design advantages compared to similar products of our competitors. Pit furnaces are ideal for large and heavy parts. They are both durable and reliable at obtaining uniform results. Machining material allowances are required due to the size ofthe parts. These allowances compensate for any negative effects that occurduring the transportation in air to the quench. In addition, that technological line of equipments will be even more efﬁcient with the use of auxiliary devices, including the periodical work of quenching tanks, which will be directly transfered to the production costs. – significantly increase operating safety. technology with hardening in a Seal Quench (SQ) eg. CaseMaster® XXL. – furnace SQ CaseMast er ® XXL 1400×1300×1800mm with a gross load weight of 7500kg. 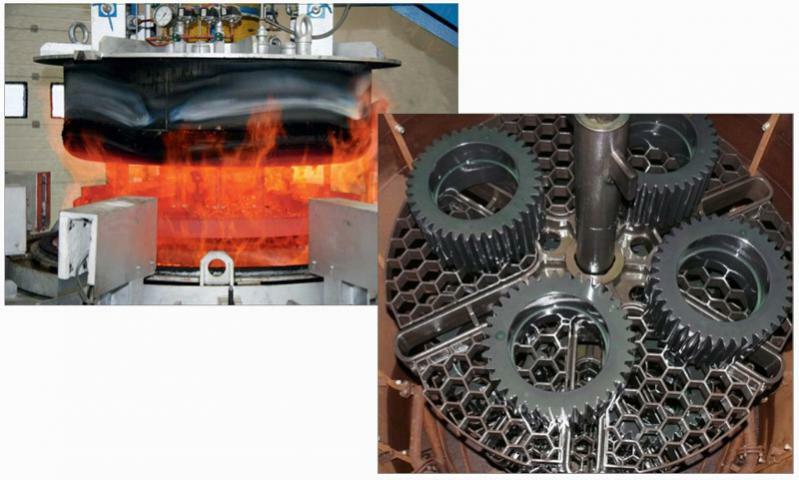 High temperature carburizing LPC in range of 1050°C (shortening the process about 40% compared with the SQ at the temp. of 950°C) with a gas cooling of the load after carburizing (perlitization) will be performed in a single-chamber vacuum furnace with gas cooling system in the range of 1.5 bar (pictured below) Heating for hardening and tempering in an oil bath quench will be performed in furnace type SQ CaseMaster® XXL mentioned above. Carburizing module LPC + SQ will be equipped with adequate equipment for loading and unloading, washing machine and tempering fumaces.